Nike will start the month of February with a bang as they release their much talked about Black History Month Collection 2014, which includes a popular sneaker from Jordan Brand. 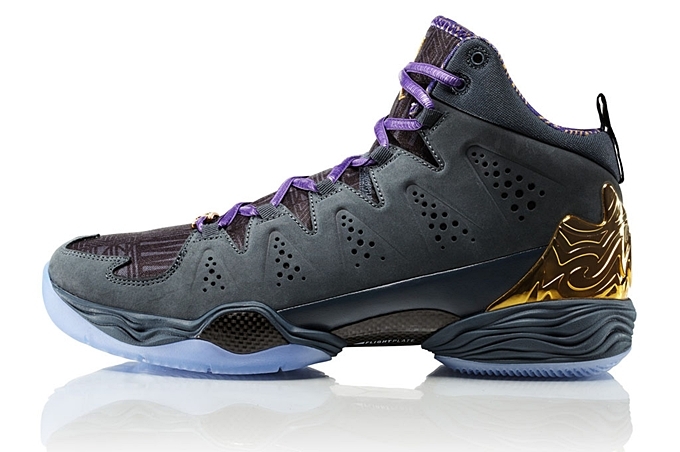 Included in the pack is the Jordan Melo M10 “BHM” that has been generating buzz for the past few weeks. This BHM-themed edition of the tenth signature shoe of Carmelo Anthony features a dark grey nubuck upper part with court purple hints and icy blue translucent outsole. The shoe also features a metallic gold heel counter and Jumpman branding. This impressive-looking sneaker is now available for just $200 per pair so grab your own pair as soon as possible.